My mommy had a lot of problems during her pregnancy. I was born at thirty-three weeks. I weighed 2 lbs 13 oz, was 15 inches long, and had a port-wine stain on my face. My mommy's life would never be the same. 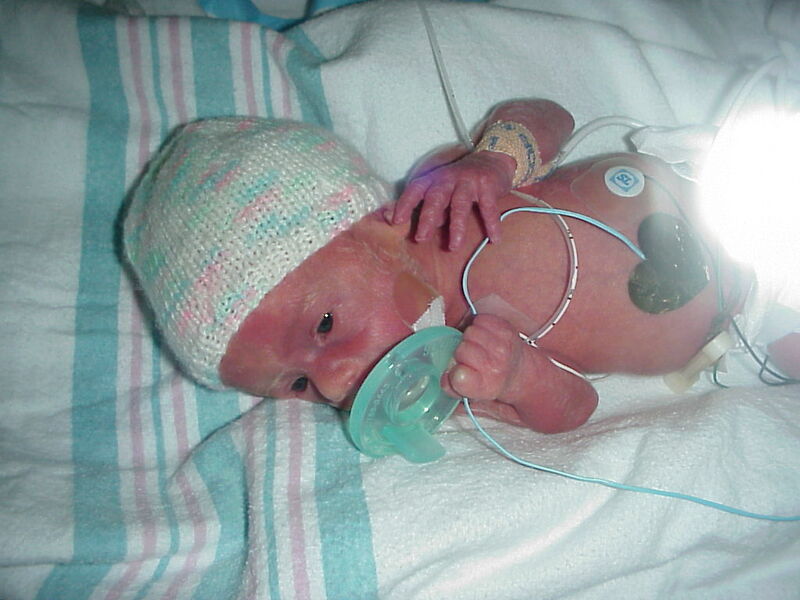 At four days old I had to have a blood transfusion because my platelets were dangerously low. 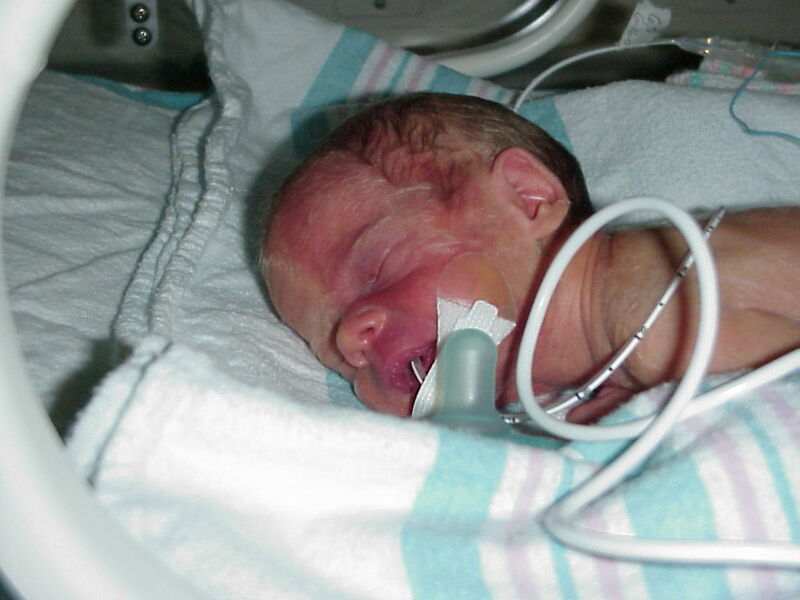 I stayed in the NICU for a month. I got to come home when I weighed 4 lbs 1 oz. Life went well for a couple of months. Then when I was three months old I started having seizures. My mommy took me to the doctor and the doctor said my nervous system wasn't developed yet and it wasn't a seizure. So, we went back home. I continued to have seizures and my mommy was told that it was startle reflexes at this point. Then when I was nine months old I had a major seizure that lasted five minutes. I lost my ability to crawl, cruise, and talk. This was very hard for my mommy. She took me back to the doctor and they finally sent me to a neurologist. The neurologist did an EEG, and MRI. Then she looked at my mommy and told her I had Sturge-Weber Syndrome. When she started to ask questions the doctor handed her some papers that had been printed out off the internet and said read this. The doctor turn and started to walk out the door and looked back and said "have a good day!". I started on Topamax and continued to have seizures. My mommy found a better neurologist three and half hours away. When I saw this neurologist he answered a lot of questions about Sturge-Weber Syndrome. He confirmed that I had Sturge-Weber Syndrome. I started on Phenobarbital as a second seizure medication. I had to go back in six months for a check up. I had to get my hearing checked every three months because I was a preimee. I went for a normal hearing check- up and my mommy was told I was deaf in my left ear. So, The South Carolina School for the Deaf and Blind was called to start early intervention. I started to learn sign language at the age of eleven months. I still hadn't said a word since I was nine months old. I could sign two words by the time I was one year old. I continued to go back for hearing test and my left ear tested fine then my right ear showed up as being deaf. Now, I have the audiologist confused.